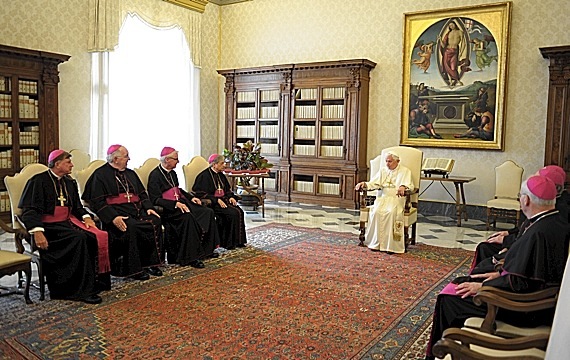 As the Stateside bishops' ad limina wends on, this week brings what's arguably the visit's key turning point. To quote a prior analysis, "to a heightened degree even from the last visit [in 2004], something especially striking about this time is that, in effect, two very different US churches with starkly divergent realities and challenges will come into the Vatican's focus: a shrinking, aging 'Rust Belt,' and the booming South and West, where [bishops] often can’t build parishes and schools large or quickly enough to keep up with their population spikes." 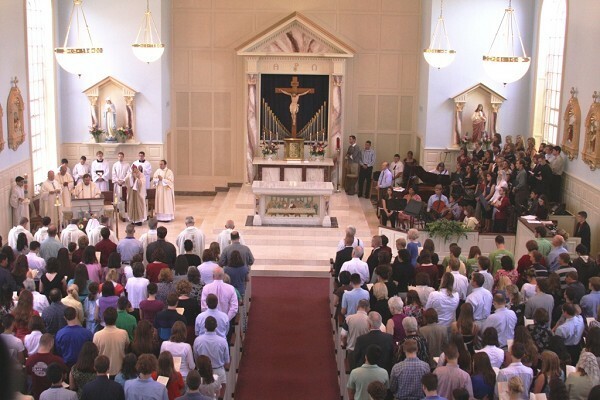 With precious few exceptions, the prelates received since the USCCB's 15 regional pilgrimages began in November have reported on local churches which, at best, have held their own over the last decade. As the bishops of Texas arrive in Rome, however, the narrative of this visit now takes that marked shift, from sharing states of consistency or decline to a staggering story of historic growth, starting with what might be the latter trend's biggest splash. 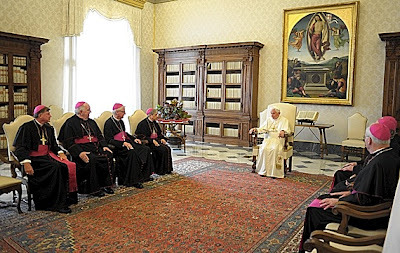 Grouped as Region X along with the three bishops of the Oklahoma City province (OKC, Tulsa and Little Rock), the Lone Star bench -- 15 dioceses in all, now split between two provinces of their own -- begins its week of meetings with the Roman Curia on Wednesday. Yet even as the thread of vitality and ongoing emergence is found through practically the entire final third of the pilgrimage -- the booming dioceses of California and Nevada, Arizona, Colorado and Utah, Georgia, Florida and the Carolinas are all still on tap before the visit wraps in mid-May -- more than any other visitors this time around, odds are the Texans will be welcomed at the Vatican as the darlings of the American church. A quick look at the stats lays out the backdrop: since the last ad limina, Catholics -- their presence increased nearly 60 percent since 1990 -- have eclipsed Evangelicals to become the state's largest religious group. In a matter of years, three of its dioceses have erupted to comprise more than a million members, each reflecting five-or-sixfold expansions over the last three decades. On a 25 percent growth in general population since 2000, the Dallas-Fort Worth "metroplex" is now home to nearly 2 million of the faithful in what's just become the nation's fourth-largest metropolitan area. 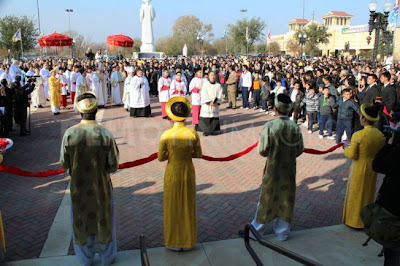 Along the border, a majority of Brownsville's 1.1 million Catholics are younger than 25; out East, rural Tyler's taken to ordaining more priests than New York, and in the capital, Austin's church of half a million -- projected to double within a decade -- is perhaps the Stateside church's most energetic outpost, boasting the nation's most celebrated Catholic campus ministry, to boot. 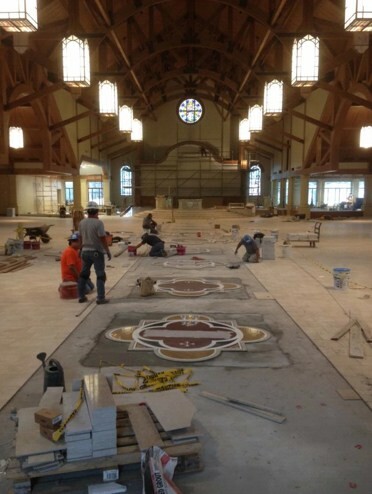 On the institutional front, the seminaries are expanding, freshly-built "mega-churches" are teeming, and local RCIA classes routinely set national benchmarks. By and large, the model of church is a decidedly post-Conciliar, 21st century one, blending Africans, Anglos, Asians and Latinos -- each mostly migrants of some sort -- into cohesive, vibrant communities. 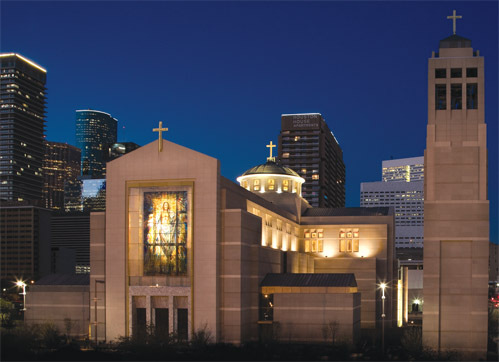 In a first, Rome's designated headquarters for a significant cross-country project lies not along the Northeast corridor, but in Houston, where the dedication of a new cathedral (above) since the last visit shut Downtown streets as an army priests processed toward it four across. Each named auxiliaries in their early forties, the last decade has seen four homegrown priests succeed each other as the nation's youngest bishop. And of course, in the ultimate reflection of "the dynamic growth of Catholicism in the southern part of the United States, and especially in" this second-largest of them, for the first time its group crosses the "threshold of the Apostles" led by a figure in scarlet, one told by Benedict on his elevation that "Texas needs a cardinal." For purposes of context, it's worth recalling that, at the last ad limina, Galveston-Houston was a suffragan of San Antonio, only named a metropolitan church as 2004 drew to its close. Then again, its meteoric rise since -- by far, the most rapid ascent ever of a new American archdiocese to its first red hat -- is perhaps the most apt metaphor for a statewide trajectory that's recast the nation's ecclesial map more in the last decade than the half-century preceding it. Completing the three-group relay begun earlier this week by the bishops of Minnesota and the Dakotas, Region X will be the final US delegation to be received before Easter. After the Texans' turn wraps up on the 21st, another "powerhouse" group is on deck: Region XI -- the bishops of California, Hawaii and Nevada -- heads over in mid-April to begin the visit's final leg... led by the largest diocese in the faith's five-century history on these shores: the 5 million-member LA church, no less than 70 percent of it Hispanic. In the meanwhile, at least three of this week's visitors might well be filing updates on their blogs. Corpus Christi's Bishop Michael Mulvey has launched his own page just in time for the visit, joining the veteran Kevins of the Metroplex: Bishops Farrell of Dallas and Vann of Fort Worth. "God Speaks Through the Silence"